Are you looking to start a rigorous skincare regime but don't know where to begin? How about at the origin? To be more specific, with the brand Origins! Whether you've only recently started taking an interest in the broad market of products out there that are tailored to look after your skin, or are a health and beauty veteran, I'm sure you will benefit from Origins. I speak from the point of view of someone who likes to keep her routine simple, for lack of time and not wanting to weigh my skin down. Origins is a brand that I have been aware of for the last few years. It is one of the very many that make up the Estée Lauder company. For me, this is a pro and a con. For some reason I always wonder if the over commercialised products work because the company knows they can be sold on their branding alone without necessarily investing too much into them. On the other hand, a commercial brand like Origins is a good place to start for those whose routine currently consists of body cream alone or anyone who fancies a change in products and values a reputable name. The skincare market is well and truly saturated with brands that all claim to brighten, firm, clear and everything but literally give you the baby skin you were born with. That's not to mention the hundreds that are meant to help with that one skin concern that besieges the Western World and has people spending millions to curb: aging! While I am not too concerned with preventing aging, I like to protect my skin and treat it well as it is exposed to pollution, heating, Air Con and makeup all day. I have been using the Ginzing cleanser and face cream for two weeks now and from my first try of the former, I knew it would be a staple of mine. Specifically designed to provide the lightest of exfoliation while energising and waking up the skin, it also effortlessly removes makeup. It's laughably quick and easy! Before using it, I saw cleansing as an unnecessary step in my skincare routine. Any pro would deplore that statement and I'm sure views it as a vital step in starting and ending your day. Essentially cleansing the skin replaces washing your face with conventional soap. I never saw the benefit until now. I can't wait to use this ginseng citrus smelling gel each day- its natural ingredients wakes me up mentally and with circular frothing motions over the face my skin feels soothed and as smooth as petals. Just keep adding water to lather. A little product goes a long way. Once you're done, wash off. Unfortunately, I find the moisturiser is too light and watery on my skin. Sticky on first application, it actually dries without a sticky residue. While I have normal skin, I would suggest anyone with oily skin use it as it is not greasy at all. Those with dry skin could use it as well, as it will hydrate. 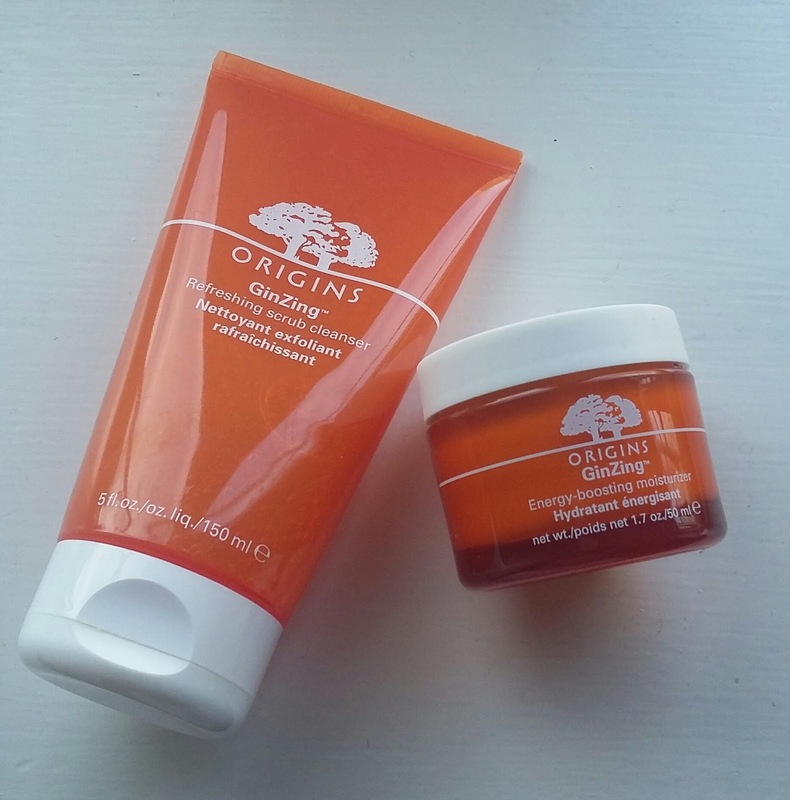 Luckily, Origins has a comprehensive range to help with all the skin concerns you could possibly think of, so I am sure to find something with more oil content. Best of all the brand combines natural ingredients with science. While I am looking for products that give a glow, boost and protect the skin, Origins is know for its coveted sensitive skin and anti-aging ranges as well, which are especially popular in Asia and America, where the brand was born. Skin is of course different from person to person, but I would always suggest trying natural skincare first. I find my skin absorbs it better and doesn't react like it does to some products that are full of chemicals. Still, when it comes to anti-aging, it is probably best to know some science is behind the creation of what you're using, as it is a more complex concern and therefore would need more ingredients and research to obtain the best results. A month is a good amount of time to begin to assess the effects of what you're using as the skin would have gone through a full cycle of renewal. Consistency and patience are key, although easier said than done.